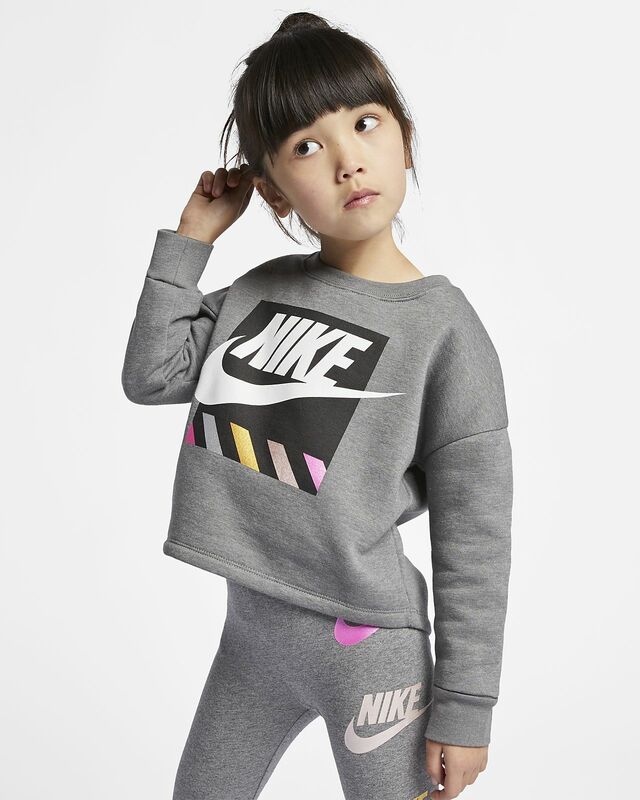 The Nike Top features soft, brushed-back fleece to keep little ones warm and comfortable. Dropped shoulder design creates a relaxed feel. This is super cute! I did notice that it seems really big. Especially around the neck. It could be the way it's made, but it will be hanging off of my daughter. Can't wait for her to grow into it though. We ordered the Futura-Print Shine leggings to match and although they are labeled the same color (andover gray maybe), the grays are a little off. The accent colors match perfectly though.